Athanasios Koukopoulos was born in Chaeronea, a village in the district of Boeotia in central Greece, on 23 November 1931 as the son of Konstantinos and Maria Koukopoulos. His father hoped that he would remain at home to manage the land they owned, but Athanasios preferred to study. His energetic and supportive mother fought for his education. At the end of World War II, following years of exposure to violence and privation, his family moved to Athens just before the Greek civil war of 1946 to 1949. In Athens, Koukopoulos continued his education while playing professional basketball with the prestigious Panatinaikos Sports Club of Athens, which later on presented him with the Golden Clover award. In 1951, he moved to Italy despite remaining hard feelings in Greece following the recent Greco-Italian war of 1940 to 1941 and the subsequent Balkan campaign of the Axis powers in World War II. Koukopoulos settled in Modena where he completed medical school at its university in 1957 while also playing basketball for a regional team (CUS Modena). After serving in the Greek Army as a medical officer, he moved to Rome to complete residency training in psychiatry under the direction of Professor Mario Gozzano. There, he especially admired the courses given by Professor Lucio Bini, one of the developers of electroconvulsive treatment (ECT) in the 1930s, and was impressed by Bini's medical knowledge, intelligence, and teaching skills. Though not a member of a university faculty, Koukopoulos maintained a keen interest in clinical research and scholarship throughout his career and pursued his interests largely by self-support and based on his personal clinical observations. He developed many intuitions based on his personal observation of many patients over prolonged periods. Many of his principles pertaining to prognosis and treatment response eventually proved to be correct. His method was based on systematic collection and analysis of highly detailed clinical records that captured every clinical encounter and intervening clinical status in extensive case histories - a practice that he maintained to his last days. His most innovative and influential findings pertained to bipolar (manic-depressive) disorder, on which he built an international reputation as a clinical expert. Much of his work has been published in leading psychiatric journals. He also valued young researchers and fostered debate, especially with those with whom he disagreed. In the 1980s, Koukopoulos focused on the sequence of mania-like and depressive episodes that characterized the illness course in individual cases of bipolar disorder. He identified some with mania followed by depression and an illness-free interval (MDI pattern), others with depression preceding mania and a stable interval (DMI), and still others with long, continuous cycles with no good interval (CC), as well as the better known pattern of rapid-cycling at rates of four or more recurrences within 1 year. He observed that the beneficial effect of long-term treatment with lithium was greatest in bipolar disorder patients with the MDI recurrence pattern compared to others (Kukopulos et al. 1980), and this finding has been replicated independently several times (Koukopoulos et al. 2013). He and his collaborators also proposed that antidepressants can decrease beneficial responses to prophylactic treatment with lithium (Reginaldi et al. 1981) and sometimes induce mania-like reactions and increase rates of shifting into and out of manic episodes (Kukopulos et al. 1980 1983;2003;Tondo et al. 1981). Such unfavorable responses seem to be particularly likely among patients with a DMI course (Koukopoulos et al. 2013). Koukopoulos and his colleagues were among the first to recognize the limitations and potential risks associated with antidepressant treatment in bipolar depression (Reginaldi et al. 1981). 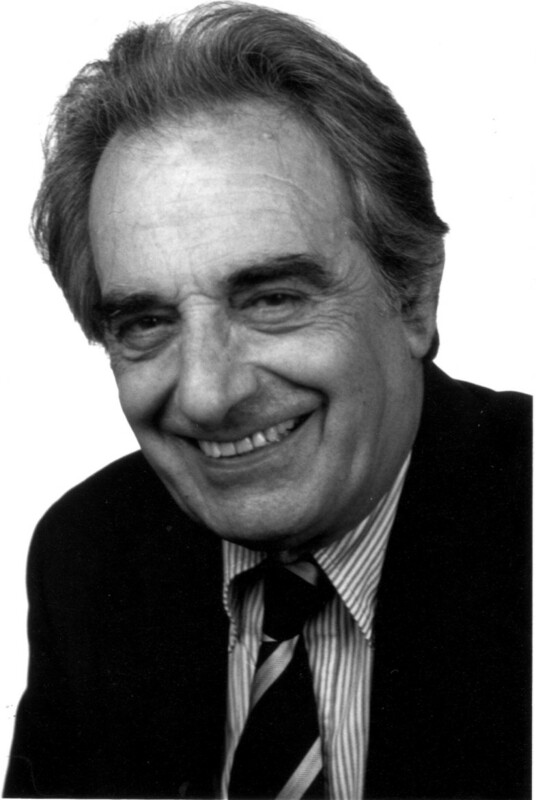 One of Koukopoulos' most important contributions to research on bipolar disorders was his theory of the 'primacy of mania’ and excited states in the course of mood disorders. The theory arose in 1973 based on findings suggesting that depression could be avoided by suppressing mania in bipolar disorder patients (Koukopoulos et al. 2006). Such observations suggested that this effect may help to account for the long-term prophylactic or mood-stabilizing effects of the antimanic agent lithium (Koukopoulos and Ghaemi 2009). Koukopoulos also was a scholar of the contributions of nineteenth century French psychiatrists, including Esquirol and Falret, as well as the German psychiatrists Griesinger, Hecker, Kahlbaum, and Kraepelin. Among ideas arising from their work, he reported on the contribution of premorbid affective temperaments to the course of mood disorders and their treatment responses (Koukopoulos 2003). He was also influenced by the classical contributions of Hippocrates and Aretaeus, who described cases that resemble modern bipolar disorder patients. During a clinical meeting, he politely criticized a clinical report made by a younger psychiatrist by reminding him that the power of the clinical analyses of cases described by Hippocrates was due to the fact that he was, before anything else, a poet, and he proposed that only a poet could have such a profound and true understanding of human diseases. The topic of simultaneous expression of mania-like and depressive symptoms stirred Koukopoulos' interest from the early 1990s (Koukopoulos et al. 1992). This interest followed his study of contributions on the topic by German psychiatrists of the twentieth century who followed the seminal contributions of Wilhelm Weygandt in the 1890 s to the concept of 'mixed-states’ in mood disorders. In keeping with recommendations of nineteenth century predecessors including Falret, Kahlbaum, and Kraepelin, Koukopoulos underscored the importance of longitudinal observation of manic-depressive patients. He was also struck by the clinical significance of agitated or dysphoric depression for risk of suicide (Koukopoulos et al. 1992;Sani et al. 2011). Importantly, he proposed that agitated depressions and other mixed-states of bipolar disorder need to be treated differently from other types of depression (Koukopoulos et al. 1989 1992 2007;Koukopoulos and Koukopoulos 1999;Benazzi et al. 2004). He recently criticized the new fifth edition of the DSM (DSM-5) for its proposed diagnostic criteria for 'mixed depression’ which he considered misleading. An editorial with these views appeared on the internet on the same day as his death in April 2013 Koukopoulos and Sani (2013). Koukopoulos trained and influenced three generations of Italian and European psychiatrists, despite sometimes being viewed with raised eyebrows from Italian academia, often envious of his international recognition and respect. In 2009, he was given a lifetime achievement awardd from the International Review of Bipolar Disorders for his research on bipolar disorders, and in 2012, the Società Italiana di Psicopatologia (Italian Society for Psychopathology) awarded him a prize for excellence in clinical psychiatric research. His clinical research was largely unfunded, empirical, and based on his observations among the countless patients he personally cared for. Koukopoulos was a strong advocate of educating professionals as well as patients and their families about bipolar disorder. In 1998, he founded Aretaeus, a nonprofit organization, devoted to public and professional education on the disorder, in honor of the Greco-Roman physician from Cappadocia (in modern central Turkey) who described cases that may have represented bipolar disorder in 150 CE. Deep understanding and compassion for patients suffering from mental illness and their families guided Koukopoulos in his clinical work, research, teaching, and mentoring. He committed his life to relieving suffering of patients with selfless dedication and profound humanity. He frequently devoted extra time to their care, sometimes for hours at a time with no increase in fee. Always available for advice, he never turned off his cell phone: 'A life-saver in moments of crisis,’ he used to say. He made great efforts to reduce feelings of stigma in and about psychiatric patients, kept them and their families well informed about individual illnesses and progress, and worked with patients collaboratively to develop plans for their treatment - all of this in times when the doctor-patient relationship was mostly unidirectional. Sometimes, he invited patients to his home for dinner and would see them even during vacation times when he was with an entourage of family and friends. He also welcomed patients to attend the many international meetings that he organized almost yearly and routinely waived their registration fee. His close observation of patients' clinical status allowed him to develop general rules about the course of illnesses and treatment responses that are now widely accepted by the scientific and clinical communities. His clinical discernment and immense experience with thousands of patients suffering from manic-depressive illness prompted him to emphasize the crucial importance of ECT as well as lithium and other modern medicinal treatments Kukopulos et al. (1977). In his support of the value of ECT, he paid tribute to his maestro, Lucio Bini, after whom he named the mood disorder centers in Rome, Cagliari, and a third in New York City that was founded by Drs. Gianni L. Faedda and Paolo Decina in 1991. He courageously opposed those who wished to abolish ECT without considering available clinical and research findings and inspired the foundation of the Italian Association for Electroconvulsive Therapy (AITEC) in 2010. There was something deeper and more mysterious that animated the life and profession of Athanasios Koukopoulos - something hard to define. He was a professed atheist, but he had a spiritual and ethical view of life and regarded some principles and feelings as sacred, particularly love and friendship. This perspective helped him explore the most secret aspects of the human soul. Those who met him are proud to have known this apparently calm, moderate, and generous man to be always polite but at times combative and full of inner fire. His political thinking also was moderate. He was a prominent member of the Panhellenic Liberation Movement (PAK) and actively opposed the Greek dictatorship in 1967 to 1974. For years, he could not return to Greece, where he would have been arrested, but he sometimes hosted representatives of PAK at his home in Rome. Koukopoulos died in the early morning of 20 April 2013 of cancer at his apartment in Rome, surrounded by his long-time partner, Daniela Reginaldi, their two daughters, Alexia and Arianna, his son, Harilaos, and his four beloved grandchildren. Following a brightly burning career, his ashes rest in the non-Catholic or Protestant cemetery in Rome. aDrs. Antonio Bernabei, Benedetto Caliari, Adele De Pascale, Paolo Girardi, Daniela Reginaldi, Rosanna Izzo, and Leonardo Tondo. The clinic was previously Clinic of Psychology and Psychiatry whose co-founders in 1970 were Drs. Andrea Dotti, Alberto Gaston, Nicola Lalli, and Paolo Pancheri. bIn 1985, Koukopoulos legally changed his family name from Kukopulos to retain its original Greek spelling. cIn collaboration with Drs. Maria Cantone, Gianfranco Floris, Paolo Laddomada, Gian Paolo Minnai, Gino Serra, Francesco Toccafondi. dPrevious recipients: Hagop Akiskal, Jules Angst, and Frederick Goodwin.